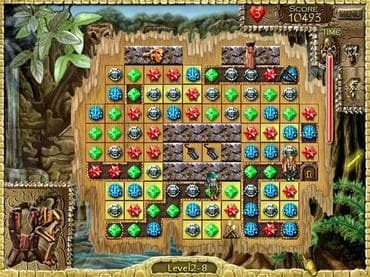 Become a real hunter of treasures and find the lost city of Eldorado. Trek into the ancient Incan civilization to find the lost city of Eldorado - the legendary city of gold hidden in the Amazon jungles. Eldorado conceals the treasures of the once powerful Inca Empire! Search for artifacts and assemble them to form 7 holy amulets, then combine the amulets to form the magic key to the mysterious city of Eldorado. It's not that easy to get to the concealed rubies, gold, and diamonds. Download free full version game and solve challenging puzzles that reveal secrets of the ancient Incan civilization! If you have questions about Eldorado Puzzle game, please contact us using this form.